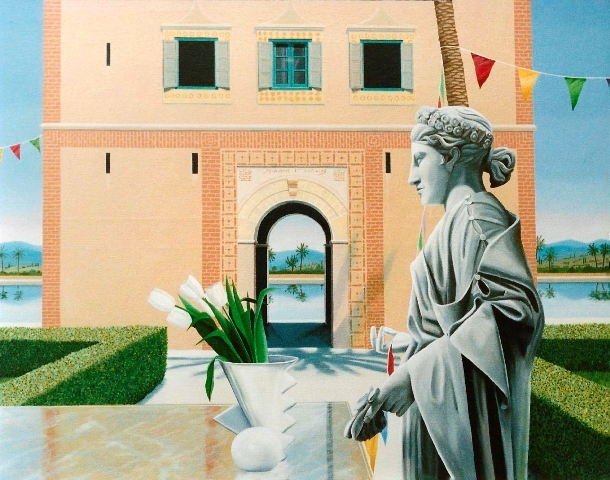 Large oil paintings executed with a meticulous attention to detail and bordering on the photographic. A qualified art psychotherapist (since retired), Cooper’s insistence for precision, clarity and individuality, has earned him a wide reputation with collectors and galleries. Collections include Aberdeen Art Galleries & Museums, Scotland and The Robert Gordon University, Scotland. Works also in private collections throughout the United Kingdom, Europe and the United States of America. All images: © David Cooper. All rights reserved, DACS 2019.